This reading group guide for Life’s Work includes an introduction, discussion questions, and ideas for enhancing your book club. The suggested questions are intended to help your reading group find new and interesting angles and topics for your discussion. We hope that these questions will enrich your conversation, deepen your understanding of the book and give your group some ideas about how to get involved. 1. In the book’s opening sentence, Dr. Parker says the waiting room in his abortion clinic is “as hushed as a church.” Did this comparison surprise you? Why or why not? How else is an abortion clinic similar to or different from church? 2. 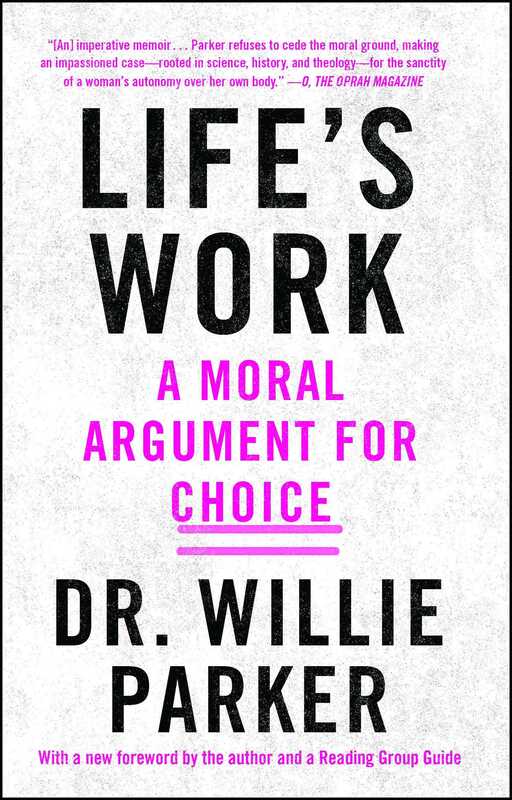 Life’s Work lays out what Dr. Parker calls “a moral argument for choice,” but it is also a memoir. Why do you think Dr. Parker includes the story of his childhood and education in a book about abortion rights? How does his biography support his argument? 3. When Dr. Sweet changed the rules at Queen Emma Clinic to forbid abortions, Dr. Parker writes, “I could no longer defer my ethical engagement.” (p. 31) How did Dr. Sweet’s decision force Dr. Parker to reexamine his own feelings about abortion? What other factors influenced his “conversion”? 4. Dr. Parker grew up in deep poverty, but, he writes, “I wasn’t unhappy” (p. 43). Why does he recall with fondness what many people would describe as a difficult childhood? How did material deprivation affect him as he grew up? How did his family and community support him in ways other than financial? 5. Describe Dr. Parker’s relationship with his mother, Jackie. How did he develop an identity as “my mother’s good child” (p.47) and how did it influence the course of his life? 6. Dr. Parker writes that he “judged” his sister Earnestine upon learning she was pregnant (p. 58). Why does this continue to haunt him 40 years later? 7. Earnestine wanted to have an abortion, but her family could not raise the money in time. Her story had a happy enough ending, however, as she wound up raising a successful and beloved son. Why does Dr. Parker believe that anti-abortion activists would be wrong to use Earnestine’s example to support their cause? (p. 59). 8. Who is Mike Moore? How does he influence Dr. Parker’s moral and spiritual development? Why does Dr. Parker later describe himself as “in recovery… from organized religion” (p. 203)? 9. In Chapter 6, Dr. Parker describes various abortion procedures, including vacuum aspiration, dilation and evacuation, and medication abortion. How do his descriptions differ from the way abortion is depicted in political arguments for and against reproductive rights? How did they change your own perception of these abortion methods? 10. How do state laws in Alabama and Mississippi affect Dr. Parker’s practice? What impact do they have on his patients? What role does the law have in some of his patient’s decisions to consider “DIY” abortions before visiting a clinic (p. 104)? 11. Why does Dr. Parker compare the fight for reproductive rights to the fight against slavery (p. 107)? How do his race and his upbringing in the South inform his understanding of his patients’ situation and the politics of abortion? 12. Who was Dr. George Tiller? How did his murder influence Dr. Parker’s decision to become more outspoken about reproductive rights? 13. Dr. Parker and his colleagues are aware of the history of violence against abortion providers, and they know they may be risking their lives to do their work. Is the risk worth it? Why or why not? 14. In Chapter 9, Dr. Parker writes, “Nothing enrages me more than the antis’ most recent strategic gambit: the black genocide movement.” Why does this campaign inspire special fury? In what ways does he believe anti-abortion forces support the aims of white supremacists? 15. Dr. Parker chides “progressive and humanist people” for “failing to offer a moral, spiritual, ethical, or religious case for abortion rights.” Why do you think people who support abortion rights have “ceded those arguments to their opponents” (p.117)? Were you surprised to learn that many faith traditions have a history of supporting reproductive justice? Why or why not? 1. Beyond Roe v. Wade, which established the right to abortion up to the point of viability, there is little federal law surrounding reproductive rights. But states—and, to a lesser extent, local governments—have passed a whirlwind of anti-abortion legislation over the past decade. What are the abortion laws in your area, and how do they affect the availability of abortion care? (Visit www.guttmacher.org/state-policy/laws-policies.) What are your elected officials’ positions on abortion? Do they reflect the values of your community? 2. For a variety of reasons, poor women and women of color have more difficulty securing reproductive healthcare. What obstacles might you or a loved one face if you needed an abortion? How do your race, class and support network affect your access to reproductive healthcare? 3. 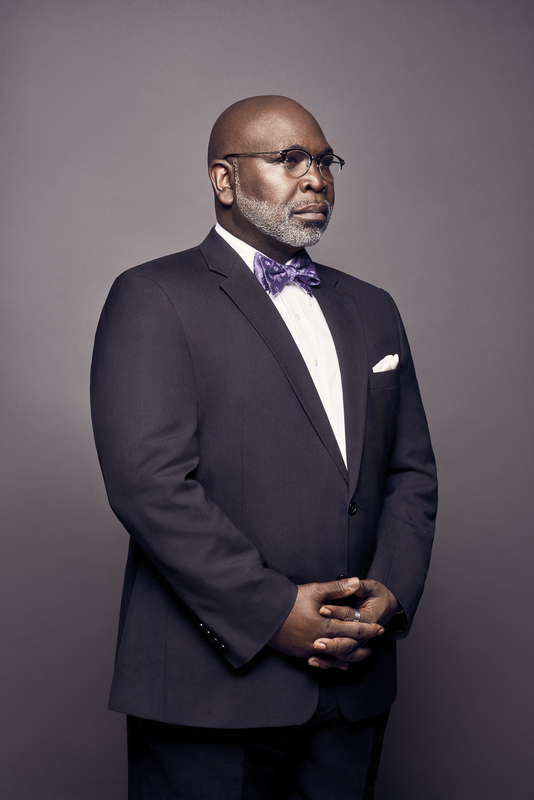 Dr. Parker is a Christian, and he frames his argument for reproductive justice as a moral one. Explore your own religious tradition or that of your family. What is the role of women in your faith, and how has it changed over time? What do your sacred texts or religious leaders say about women’s rights, abortion and contraception? When does your faith hold that life begins? Do you agree? 4. Dr. Parker calls Martin Luther King, Jr. his “personal saint… my conscience’s mentor and its guide” and he described his “conversion” on the abortion issue as taking place as he listened to King’s final sermon, “I’ve Been to the Mountaintop.” (pp. 33-34) Listen to the sermon, which you can find online at youtu.be/ixfwGLxRJU8, or read the text at stanford.io/2npI0QD. Dr. King was speaking in 1968. Do you believe his words are also applicable today? Have you ever found yourself in the position of the people who came upon the injured man on the road to Jericho? What did you do? 1. Planned Parenthood is the single largest provider of abortions nationwide and a cause worthy of financial support, but the majority of abortions take place in small, locally-owned clinics where it may not be possible to offer patients a sliding scale fee. You can help women pay for abortion care by donating to a local abortion fund. Visit the National Network of Abortion Funds at abortionfunds.org/need-abortion to find one in your area, or help patients in Alabama and Mississippi via the Dr. Willie Parker Abortion Fund for Abortion Access in the South, at abortionfunds.org/introducing-dr-willie-parker-fund-abortion-access-south. 2. Support the Jackson Women’s Health Organization, better known as the Pink House, where Dr. Parker provides abortions in Mississippi. Visit wakeupmississippi.org to learn how. 3. Anti-abortion protesters can present a daunting obstacle for patients seeking reproductive care, so clinics often make use of clinic escorts, who shield patients from protesters and help them get safely inside. Contact your local abortion clinic to ask about volunteer opportunities. 4. Abortion is not just a women’s issue. If you are a man, think about the ways in which you can support women’s reproductive rights, in your own relationships and within the wider community. Join Men for Choice, at menforchoice.com, to get involved and speak out. 5. Poor women and women of color are more likely to need abortion care and more likely to have trouble securing it. If you are white or wealthy, examine how your privilege might lead you to take reproductive care for granted, and think about the ways in which you can support reproductive rights for all women. Do you agree with Dr. Parker that “upscale, liberal circles” often “fetishiz[e] motherhood and children” (p. 178)? How does this attitude contribute to the isolation of poor women of color in places like Mississippi? 6. As many as a third of American women will have an abortion during their lives, yet stigma still surrounds this common medical procedure. If you have had an abortion, consider sharing your experience with others. – Carole Joffe, author, Dispatches from the Abortion Wars: The Costs of Fanaticism to Doctors, Patients and the Rest of Us; professor, Bixby Center for Global Reproductive Health, University of California, San Francisco. – Ann Furedi, author of The Moral Case for Abortion and CEO of British Pregnancy Advisory Service.